Youngstown – There will be a memorial service held on Saturday, February 2, 2019 at 12:00 pm at Trinity Fellowship Church, 4749 South Ave., Boardman, with Pastor AJ Platt officiating for Fermin Morales-Diaz, 54, of Youngstown, who passed away on Thursday, January 17, 2019. Fermin, also known to friends and family as JR or Mo, will always be remembered for his smile, unique and one-of-a-kind sense of humor, love for family, and crazy-fun personality. He was born October 11, 1964 in Rio Piedras, Puerto Rico, the son of Inocensio and Tomasa (Diaz) Morales and moved to the Youngstown area in the 1990’s. Fermin was known for his talented customized paint jobs on automobiles, passion for God, and he attended Trinity Fellowship Church. He had many passions throughout his life. 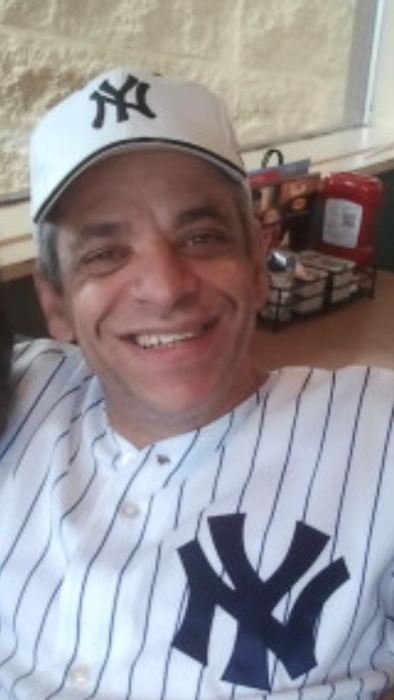 He enjoyed doing bodywork on cars, watching sports and rooting on his favorite teams the Philadelphia Eagles and New York Yankees. Fermin liked to wake up early with a cup of coffee, watching the 5 a.m. news, and calling every family member to check on them and proudly tell silly jokes. Fermin is survived by his mother Tomasa Ruiz Diaz, a son Angelo Morales of Youngstown, a grandson Elliott, step daughter April Melendez of Boardman, two step granddaughters Jade and Angelia Kane, his siblings, Milagro Ruiz, Raffy Diaz, Victor (Cathy) Martinez-Diaz, Maria Martinez-Diaz and Benita “Annie” Soto, Maribel Caraballo, Alisalia Ruiz, and his companion Teresa Neapolitian along with many nieces, nephews, cousins and friends. Family and friends may pay their respects on Saturday, February 2, 2019 from 11:00 am until 11:55 am at Trinity Fellowship Church, Boardman. Family and friends may visit www.rossisantuccifh.com to view this obituary, sign the guestbook and send condolences to Fermin’s family.